1. 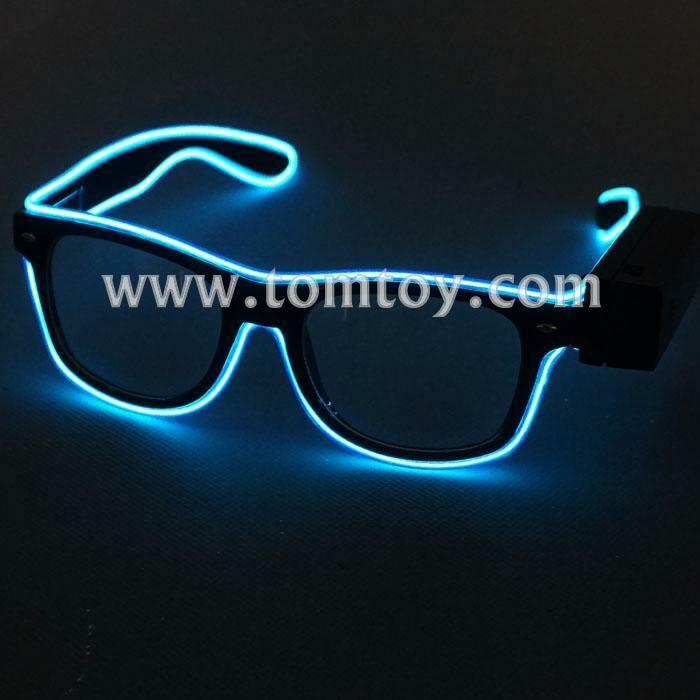 EL glasses come with a black frame and clear lens and bright EL wire, perfect for night time. 2. USB Powered Li rechargeable Batteries, the battery pack can be put inside your pocket or clipped to your pants/shorts. 3. Comes with 3 flash mode, fast flashing, slow flashing and steady light. 4. The lens has white, black and black transparent for your choice, it is UV400 protection. 5. EL Wire color: Red, Yellow, Orange, Transparent Blue, Blue, Pink, Purple, Fluorescent Green, Jade,and White.Any two of EL wire color can be combined.